Chiesi M, Maselli F, Chirici G, Corona P, Lombardi F, Tognetti R, Marchetti M (2014). Assessing most relevant factors to simulate current annual increments of beech forests in Italy. iForest 7: 115-122. Recent work of our research group demonstrated the applicability of a calibrated bio-geochemical model, BIOME-BGC, for estimating current annual increments (CAIs) of Mediterranean forests. In the current case, the model is applied to assess the gross primary production (GPP) of nine beech forest sites in Italy using a previously produced data set of meteorological data descriptive of a ten-year period (1999-2008). The obtained GPP estimates are integrated with relevant autotrophic respirations and allocations to derive forest net primary production (NPP) averages for the same forests. The simulations are performed assuming different levels of ecosystem disequilibrium, i.e. progressively taking into account the effects of specific site history in terms of woody biomass removal and stand aging.The NPP estimates, converted into CAIs by means of specific coefficients, are validated through comparison with data derived from tree growth measurements. Results indicate that the modelling of quasi-equilibrium conditions tends to produce overestimated CAI values, particularly for not fully stocked, old stands. The inclusion of information on existing biomass introduces a partial improvement, while optimal results are obtained when information on ecosystem development phase is considered. The implications of using different NPP estimation methods are finally discussed in the perspective of assessing the forest carbon budget on a national basis. Age-related decline in forest production: modelling the effects of growth limitation, neighbourhood competition and self-thinning. Journal of Ecology 92: 846-853. Integration of ground and satellite data to model Mediterranean forest processes. International Journal of Applied Earth Observation and Geoinformation 13: 504-515. Use of BIOME-BGC to simulate Mediterranean forest carbon stocks. iForest 4: 121-127. Adaptation of a modelling strategy to predict the NPP of even-aged forest stands. European Journal of Forest Research 131: 1175-1184. Integration of forest inventory and mapping to support forest management. iForest 3: 59-64. Global forest resources assessment. Forestry Paper no. 163, Food and Agriculture Organization of the United Nations, Rome, Italy, pp. 340. Tree rings and climate. Academic Press, London, UK. Aboveground net primary production decline with stand age: potential causes. Trends in Ecology and Evolution 11 (9): 378-382. A European daily high-resolution gridded dataset of surface temperature and precipitation. Journal of Geophysical Research (Atmospheres) 113: D20119. Multilingual glossary of dendrochronology. Terms and definitions in English, German, French, Spanish, Italian, Portuguese, and Russian. Swiss Federal Institute for Forest, Snow and Landscape Research, Haupt, Bern, Switzerland, pp. 467. 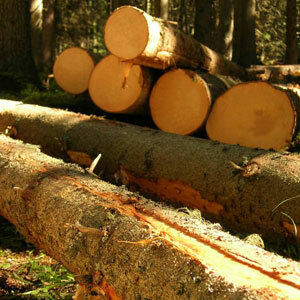 Simplified methods to inventory the current annual increment of forest standing volume. iForest 5: 276-282. Modelling the forest carbon budget of a Mediterranean region through the integration of ground and satellite data. Ecological Modelling 220: 330-342. Combining remote sensing and ancillary data to monitor the gross productivity of water-limited forest ecosystems. Remote Sensing of Environment 113: 657-667. Evaluation of a 1-km daily meteorological dataset for modelling vegetation production in Italy. Climate Research 54: 271-285. Use of LiDAR data to simulate forest net primary production. International Journal of Remote Sensing 34: 2487-2501. Combination of optical and LiDAR satellite imagery with forest inventory data to improve wall-to-wall assessment of growing stock in Italy. International Journal of Applied Earth Observation and Geoinformation 26: 377-386. Evaluating water stress controls on primary production in biogeochemical and remote sensing based models. Journal of Geophysical Research 112: G01012. Pan-European forest/non-forest mapping with Landsat ETM+ and CORINE Land Cover 2000 data. ISPRS Journal of Photogrammetry and Remote Sensing 64: 171-183. Quantification of live aboveground forest biomass dynamics with Landsat time-series and field inventory data: A comparison of empirical modeling approaches. Remote Sensing of Environment 114: 1053-1068. Generalization of a forest ecosystem process model for other biomes, BIOME-BGC, and an application for global-scale models. In: “Scaling physiological processes: leaf to globe” (Ehleringer JR, Field CB eds). Academic Press, San Diego, USA, pp. 141-158. Age-related decline in forest growth: an emergent property. Forest Ecology and Management 144: 175-181. Relationships between net primary productivity and stand age for several forest types and their influence on China’s carbon balance. Journal of Environmental Management 92: 1651-1662. Forest ecosystems. Analysis at multiples scales (3rd edn). Academic Press, San Diego, CA, USA. Estimating biomass and net primary production from forest inventory data: a case study of China’s Larix forests. Forest Ecology and Management 169: 149-157.